The tradition of using heat and steam for deep, physical cleansing and even as a spiritual practice can be found in scores of cultures on every continent, stretching back for millennia. Though more commonly associated with the Scandinavian or Native North American regions, it’s use can also be found in most other Northern European countries as well as in Turkey, Morocco, Russia, Japan, Australia and Korea to name just a few. The health benefits of a good sweat are numerous, including better blood circulation and oxygenation, stress relief, release of toxins, improved flexibility through relaxation of the muscles, healthier skin, improved mood and sleep patterns, clearing of sinus congestion as well as producing ‘heat shock proteins’ which can prevent damage caused by free radicals and support antioxidant capacity. The list is literally endless !! 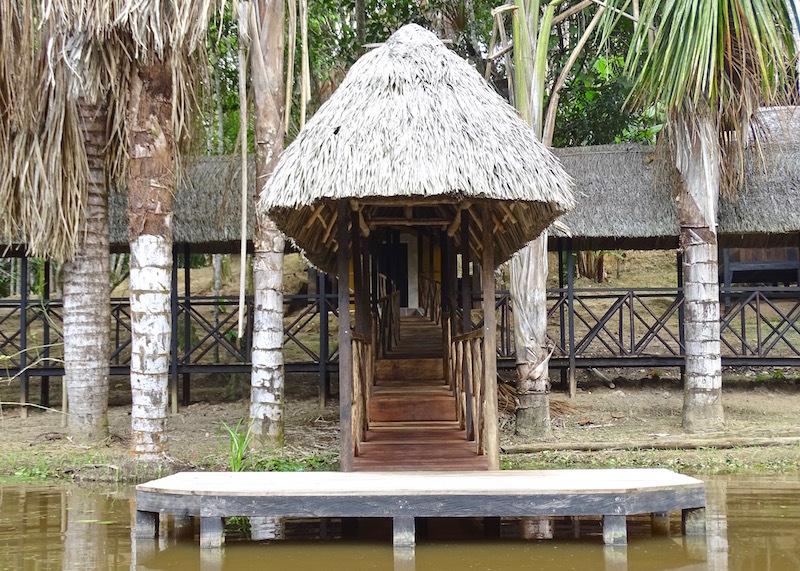 The sweatlodge that we have created at Dreamglade is based upon a simple but ingenious design that I encountered whilst travelling through Guatemala in 2006. 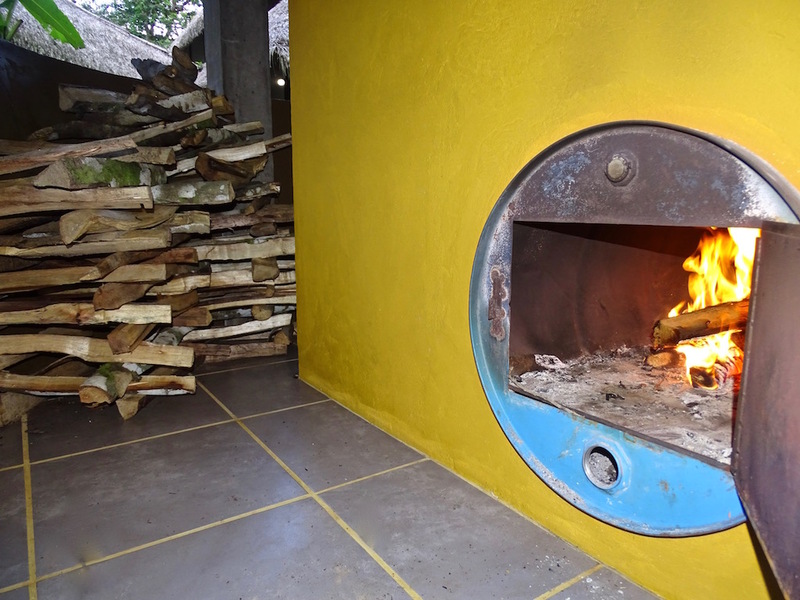 The heat source is an old, converted oil drum, laid down horizontally, the main part of it being inside the sauna space but with one end on the outside of the structure with an opening that allows you to build a fire inside the drum. 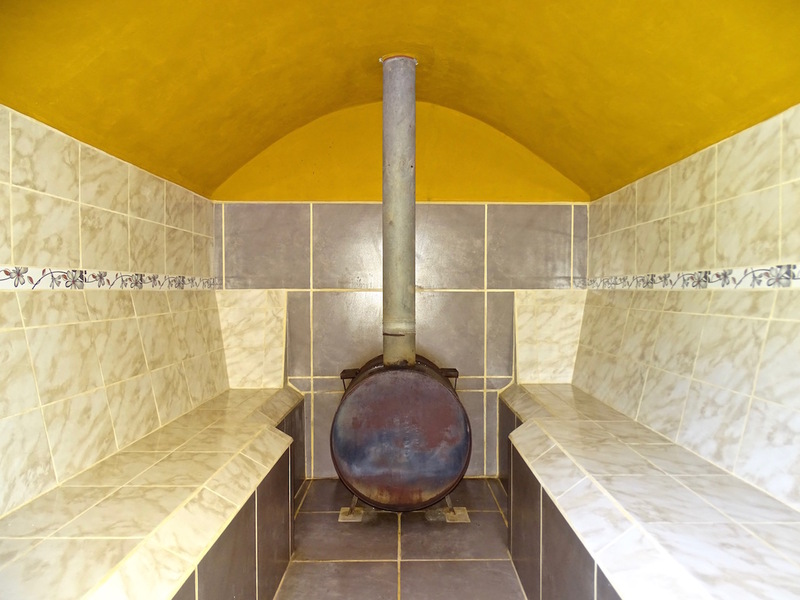 Depending on the size of the fire, you can adjust the level of heat in the sauna. 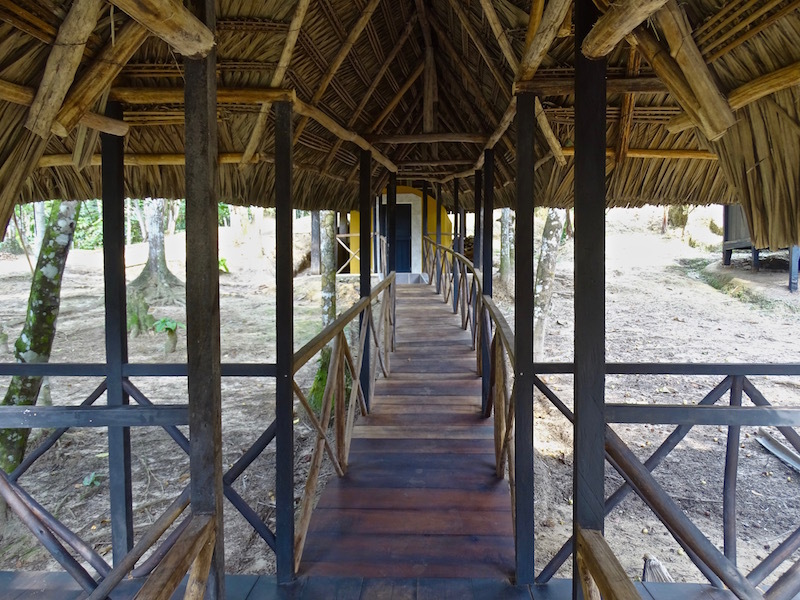 There is also a wooden walkway connecting the Sweat Lodge with the lake so that you can run down and jump straight into the water to cool off. 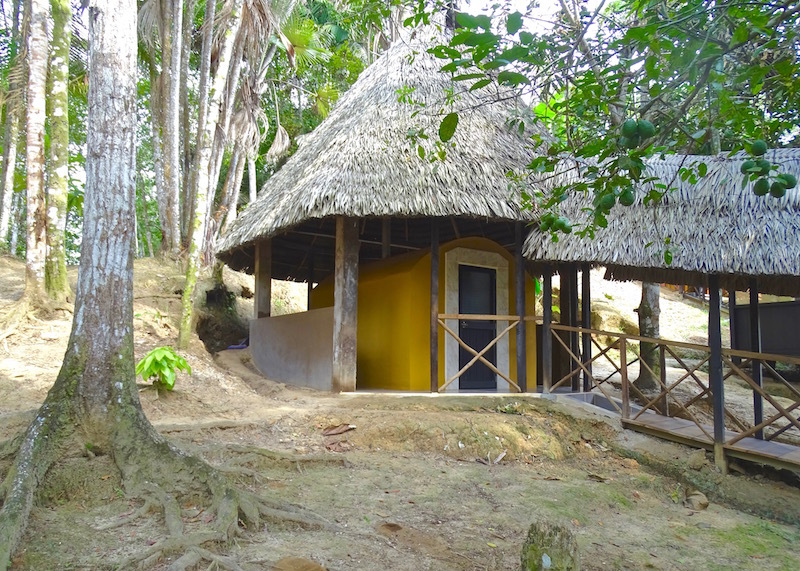 As well as the aforementioned benefits of using a Sweat Lodge, we also add some of the local medicinal plants into the mix, enhancing the experience with powerful, energetic healing which allies beautifully with the work that we do with ayahuasca and also the medicinal plant ‘dietas‘ that we often provide for our guests. 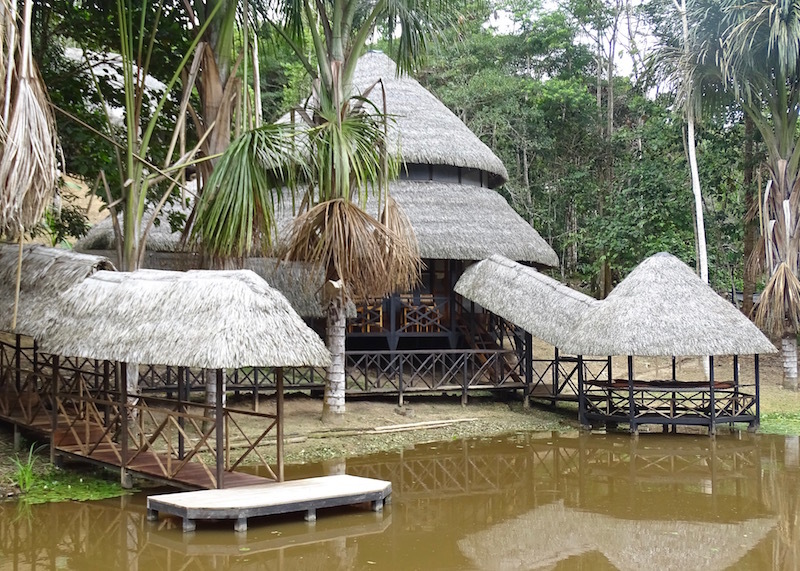 The plants also help significantly with ‘opening up’ those that have been struggling to connect with ayahuasca. 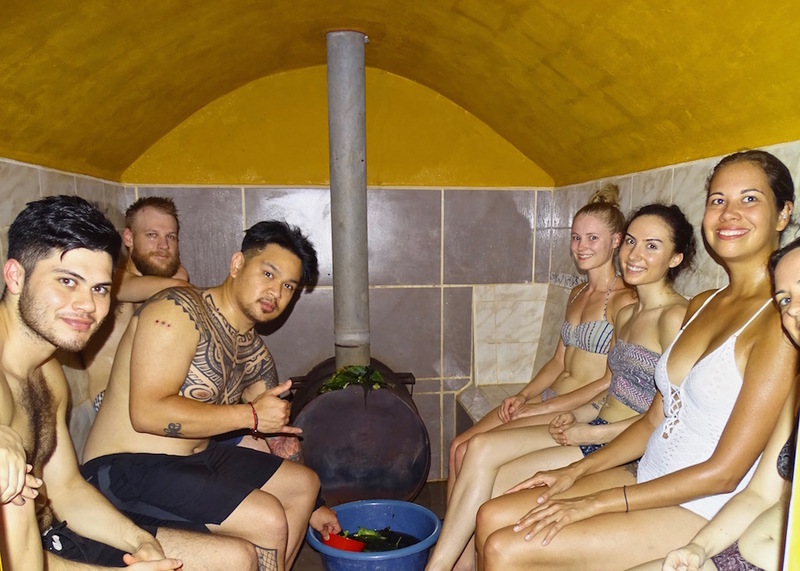 The Sauna/Sweat Lodge has ample space for around 8-10 people and we generally use it at least 2 -3 times a week, usually just before the Ayahuasca ceremonies begin and all guests are invited to partake though it is by no means compulsory. Since its inception, we have found that it has become an invaluable addition to the healing work that we carry out at Dreamglade Shamanic Healing Center.